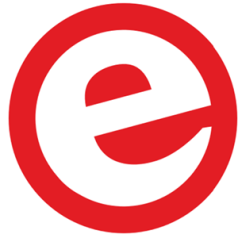 The Elektor team is proud to launch Elektor Industry, the leading global magazine platform in English and German for talented entrepreneurs, young innovators, designers, start-ups, and scale-ups. 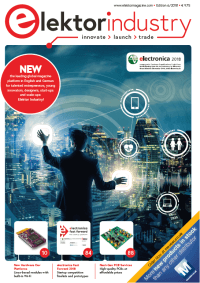 Read the electronica 2018 special edition now. In the coming weeks and months, you can rely on the Elektor Industry team to deliver in-depth content — in both Elektor Industry magazine and online — about next-generation electronics technology, industry thought leaders, product news, and important business trends. Read our magazine and follow our digital channels to stay informed! The New Generation of Lead-Free Alloys: A great introduction to lead-free alloy alternatives that might exceed your expectations. Reduce Test Time, Reduce Cost: How transceiver manufacturers can use test automation software to reduce test time and cut costs. Non-Standard Flash Drives and SD Cards: A variety of non-standard USB flash drives and SD cards deliver benefits to embedded systems designs. Setting a New Standard with SN100CV: An introduction to SN100CV as a cost-effective solution for the electronics assembly industry. Distribution: Some of the benefits Avnet-Silica has to offer in a variety of areas including medical devices, wearables and industrial manufacturing. IoT Medical Device Design: Need-to-know design essentials for building Internet-connected medical devices. We Support Your Start-Up: EBV Elektronik supports start-ups with its experience and expertise. cosinuss° and SimyLife are two interesting examples. Efficiency of Power Supplies: An analysis of power supply efficiency and a comparison of various supplies. Application of Modern SMT Glue and Dispensing Processes: Details about modern SMT glue processes and essential output parameters. Learning to Choose: An overview of memory technologies and tips for selecting storage solutions. New Components: How Mouser is innovating to meet the ever-increasing demand for high-quality electronic components. We hope you enjoy this issue of Elektor Industry. The next editon scheduled for the embedded world trade show in February 2019 covers Microcontrollers, Embedded Technology and Tools. For information on contributing to the editorial section of Elektor Industry magazine please contact the editor.